DCSCA members and friends in Ryan Court, Drysdale, have been assured by the City of Greater Geelong that it will fill-in a two feet deep unfenced hole that it excavated at the bottom of their road. 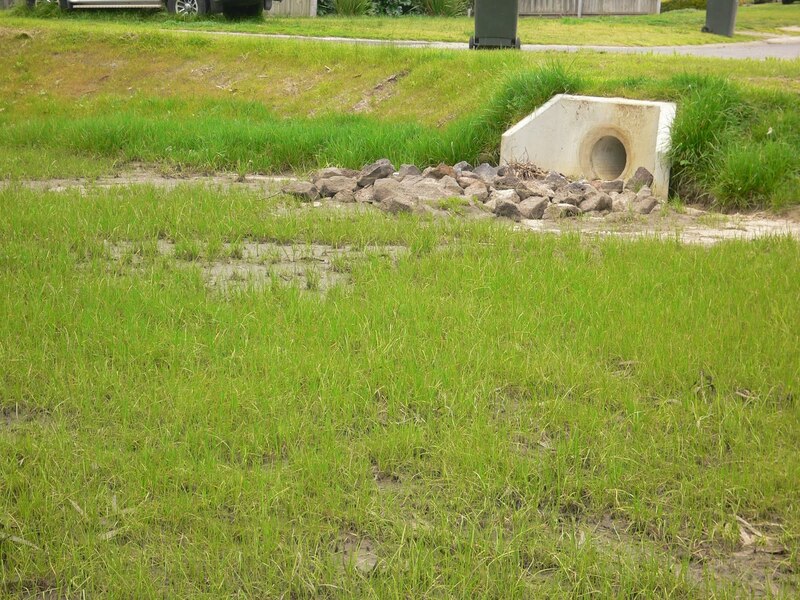 CoGG created this 'Bio-retention Basin' to filter impurities from storm water running down the sloping street from a nearby housing estate. 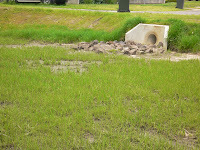 As rainwater filled what is effectively an urban dam and oil slicks and detergent foam covered its surface, Ryan Court residents sought DCSCA's help to convince the council to fill-in this folly and restore the area. Council officers told the residents that the council had sent them a letter in 2010, telling them that the dam would be created. No-one received such a letter. Had they been asked, residents could have pointed out that young children live near the dam, which is in the middle of a well-used local shortcut across a creek. The continuing flooding of this ‘urban dam’ poses a continuing hazard to local people. DCSCA has asked council officers what steps they will take to combat this hazard until the work is completed. We await their response. DCSCA members live, work or study in Drysdale & Clifton Springs. We meet regularly to discuss how the community is changing; we link with other local groups and organisations to improve the well-being of people in the area; and we try to represent local people's ideas, views and hopes. Who you gonna call? Dam busters! Bike wheels or hamster wheel? Indented Head Community Association Inc.